As a board-certified general surgeon with fellowship training in bariatrics, Dr. Singhal takes great pride in helping patients across Greater Lehigh Valley transform their health and their lives. Dr. Singhal specializes in minimally-invasive wight loss procedures, including laparoscopic gastric bypass, gastric sleeve and revisional surgery. For patients, these techniques often offer less pain and scarring, fewer complications and faster recovery. Dr. Singhal earned his MBBS at Maulana Azad Medical College in India and is a member of the Royal College of Surgeons in Edinburgh. He completed his Residency in general surgery at the Bronx Lebanon Hospital and a fellowship in bariatric and minimally invasive surgery at Penn State Hershey Medical Center. As a board-certified general surgeon with fellowship training in bariatrics, Dr. Aksade is dedicated to helping patients reduce medical problems and improve their longevity and quality of life. Dr. Aksade specializes in robotic and minimally invasive weight loss procedures, including robotic assisted gastric sleeve, laparoscopic gastric bypass and revisional surgery. For patients, these techniques often offer less pain and scarring, fewer complications and faster recovery. Dr. Aksade earned his MD at Hacettepe University, Faculty of Medicine, Ankara, Turkey. Dr. Aksade is board-certified in surgery and is a member of the American College of Surgeons, the Society of American Gastrointestinal and Endoscopic Surgeons, and the Society of Laparoendoscopic Surgeons. 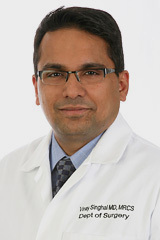 He completed his residency at Easton Hospital in general surgery and a fellowship in bariatric and minimally invasive surgery at University of Pittsburgh Medical Center.